Mohamed Hage: The World’s First Rooftop Farm! Go up on the roof of this industrial building in the northeast of Montreal at 3:00 in the morning, and you’ll find farm labourers picking crops — heirloom tomatoes, cucumbers, peppers, basil, bok choy, lettuce, and more than a dozen micro-greens. This Special Presentation began as an interview with the Honourable Jigme Yoser Thinley, the first elected Prime Minister of Bhutan, whose government aims to entrench and extend Bhutan’s long-standing goal of expanding Gross National Happiness rather than Gross National Product. To put the interview in context, we prepared an original half-hour documentary film, using footage of Bhutan shot by Silver Donald Cameron and by Nova Scotia film-maker Kent Martin. Salmon Wars: Wild Fish, Aquaculture and the Future of Communities is a wide-ranging exploration of net cage salmon aquaculture and its social, economic and environmental impact on the communities where it operates. This eye-opening 70-minute video documentary surveys industry representatives, community activists, scientists, environmentalists and politicians, including Nova Scotia’s Minister of Fisheries, Aquaculture and Environment. We've just posted a new interview with Canadian novelist, poet and farmer Brian Brett which sheds a lot of light on the way Canada’s factory food system leads to deadly crises such as the ongoing XL Foods tainted beef scandal. Calling our modern, industrial food system “complete madness,” Brian explains in the interview how farming practices, regulations and tax rules dangerously favour large-scale production over small farms—a system that generates nutritionally depleted food, environmental degradation, the threat of crop failures, and health hazards such as Listeria and E.
Salmon Wars Documentary – View The Trailer! The trailer for our upcoming documentary, Salmon Wars, has just been released! See it here: http://youtu.be/EimPqpMlInY Background: in recent months, the international salmon-farming industry has been applying for new sites and new leases — on a truly massive scale. A pair of farms in St.
Dr. Daniel Pauly, our newest Green Interview, is a legendary fisheries scientist, an authority on the overall state of world fisheries and fish stocks, and a bold, incisive thinker. Pauly is the driving force behind FishBase, a database on the web that contains detailed information on all the 35,000 fish species known to science. As the Harper government moves to (illegally) dismantle the Canadian Wheat Board, I want to share again a column I wrote in 2006, when they were first trying these shenanigans. Sunday Herald – October 1, 2006 FEAR AND LOATHING IN THE WHEAT FIELDS Among the worries which keep Maritimers awake at night, the Harper government’s drive to dismantle the Canadian Wheat Board probably doesn’t rank very high. 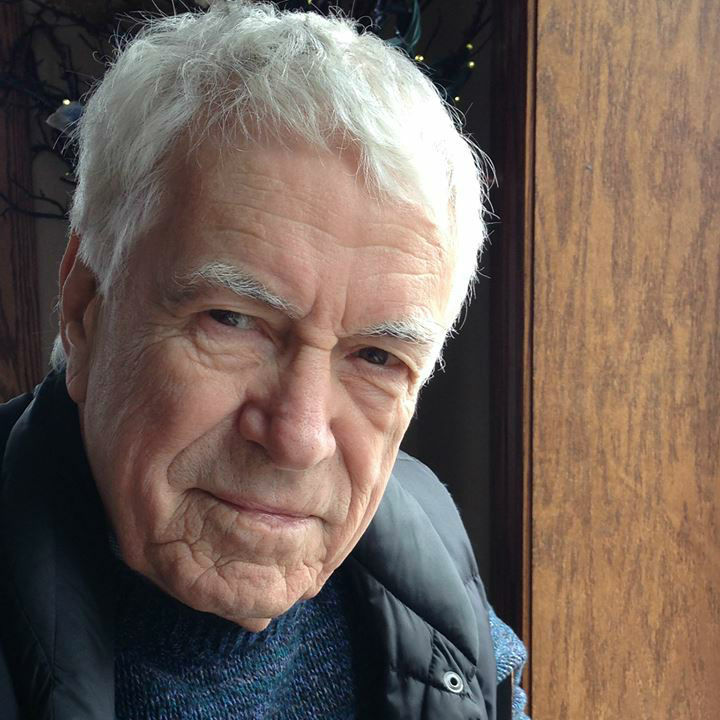 We’ve just published our interview with Ronald Wright, an extraordinary writer and thinker, author of such challenging books as Stolen Continents and A Short History of Progress. Trained in archaeology, Wright dissects the past, seeking clues to the future. What kind of an animal is the human being? Study Sustainable Agriculture in Cuba! Here’s a note from my friend Wendy Holm, the noted agrologist, who teaches at UBC and is now leading a for-credit course in Cuba. A great opportunity for anyone involved with food and agriculture! Just a quick note to say registration is NOW OPEN for my MAY 2011 University of British Columbia 3 credit course International Field Studies in Sustainable Agriculture Cuba.